used as a dance floor by spectators at the 2015 Pride Parade. 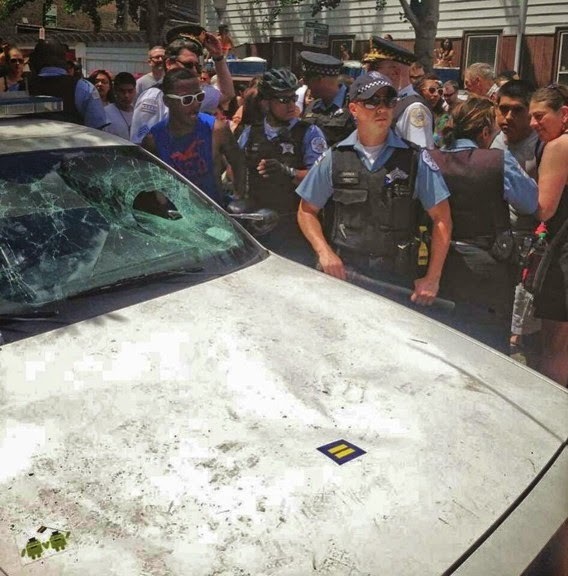 Nearly nine months have passed since the 2014 Chicago Pride Parade unleashed crushing crowds and a post-parade crime wave in our neighborhood, yet city officials still have not announced how 2015 will be different. As we said days after the parade, there are two distinct issues that need to be addressed: Dangerous overcrowding in prime locations along the route and post-parade criminal activity. The police department apparently doesn't think too much will change on their end. The department has retained the right to deny officers time off on just nine of this year's 1,095 shifts. Two of those nine shifts fall on Pride Sunday. 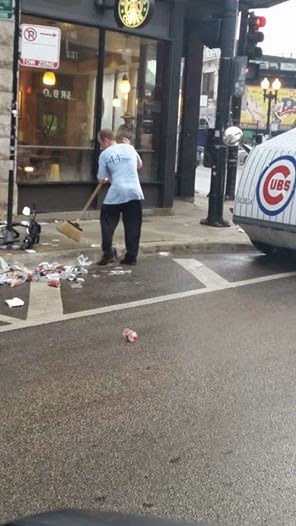 "24 hours after the parade." We hear from our residents that they don’t feel safe in their neighborhood – that there is too much… alcohol and partying all night long. 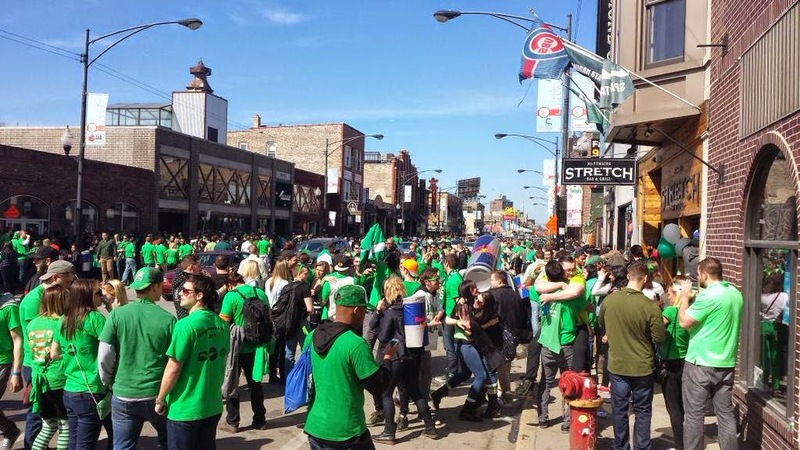 Last weekend’s St. Pat’s free-for-all in Wrigleyville made Pride memories fresh again. 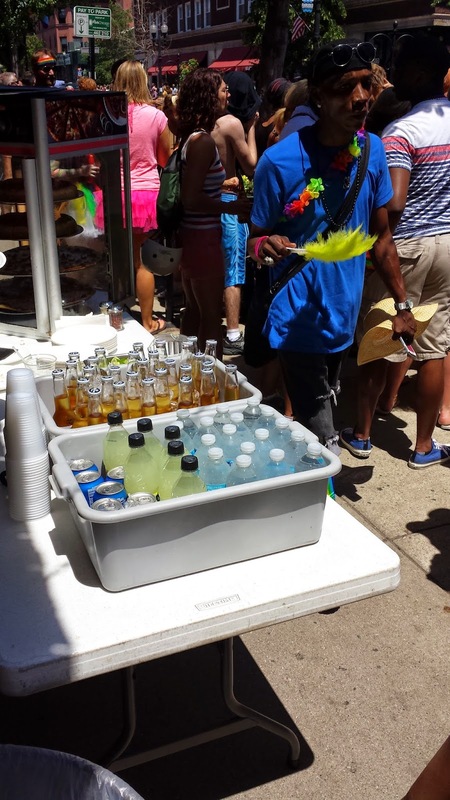 Considering that the city didn’t even erect barricades to keep drunks out of the middle of Clark Street, we have to wonder…what kind of plan will they develop for the much bigger Pride? We asked Tunney’s office about St. Pat’s and asked when the community could expect to hear about Pride plans. They did not respond. They also refused to respond to a similar request for information in February. At a candidate forum during his recent campaign for re-election, Tunney offered a few options that were on the table: more direction of parade-goers; route changes; more security after the parade between 4PM and 4AM; an earlier start time for the parade; changing the day of the parade; and shortening the parade. He did not mention moving the parade to downtown. Chicago Pride organizers are already publicizing June 28 as the date of this year’s parade. We strongly believe that the public needs ample time to review the city’s Pride plan and provide feedback. The city will also need time to respond to the public’s input. With 98 days remaining, the public deserves to hear NOW about what the city and organizers will do to make Pride 2015 different from recent years.